You can turn your backyard into an extension of your living space by converting it into a space that also maximizes the value of your home. 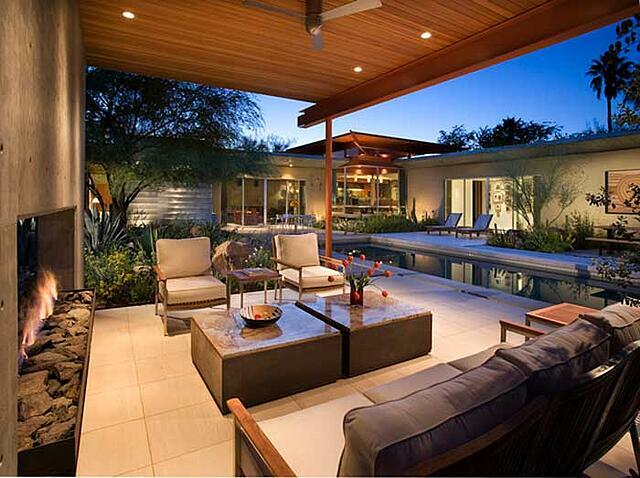 Today’s trends in outdoor living don’t simply entail adding a patio set and pool. To decorate an outdoor space, you have to treat it like a floor plan. 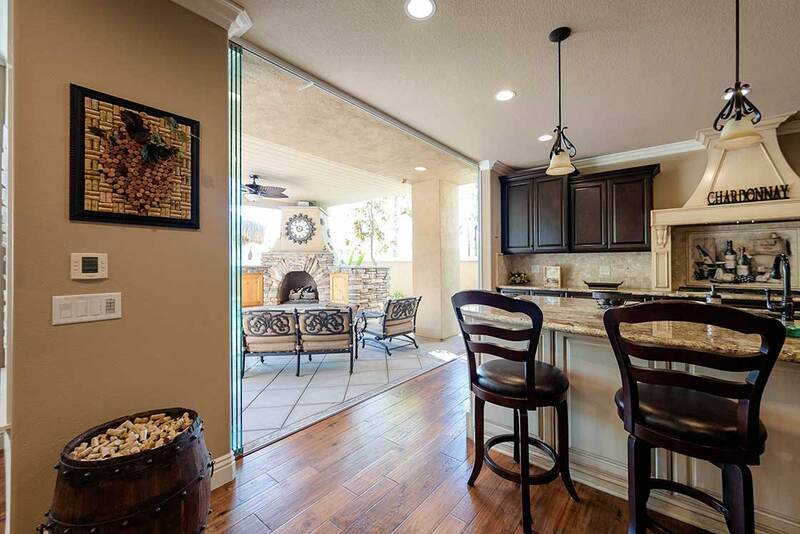 Outdoor living design is about extending your interior living space to the outdoors seamlessly, creating a relaxing and inviting area where you can spend time with your family or entertain your guests, and take advantage of the gorgeous weather. 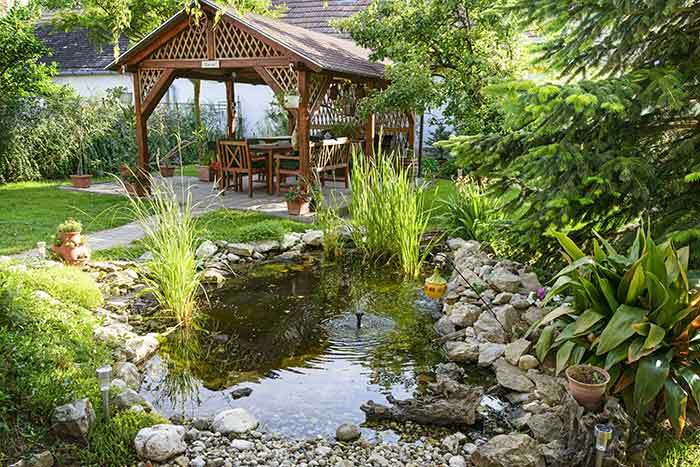 When it comes to decorating an outdoor space, you need to start with landscaping. If your space is large enough, you can build a large pool or waterfall surrounded by lush green plants and trees to create an oasis of nature. Or, if simple is your style, a garden that’s a mixture of beauty and practicality might just be the ticket: set up your garden with a mix of flowering plants and succulents, and self-grown vegetable and herb garden. The latter can be especially handy if you also set up an outdoor kitchen and dining space. Create pathways to give structure and texture. Tuck a gazebo at the end for a secluded retreat. To turn your outdoor space into one that you can enjoy even when the weather turns chilly, you need heat. 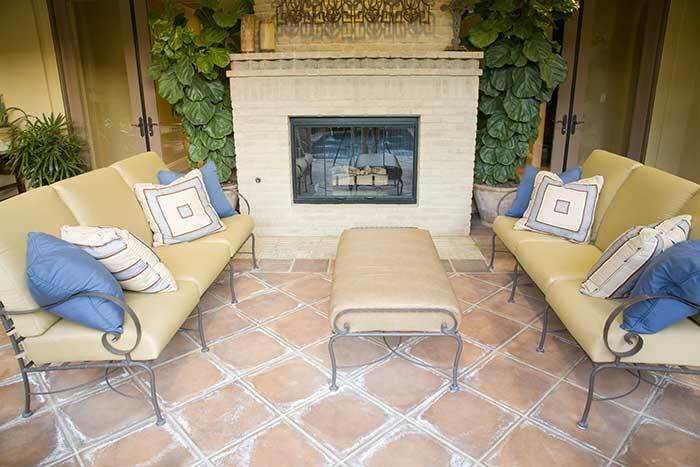 Fire pits and fireplaces give a cozy and warm nook for you and your guests to sit around. Fireplaces, in particular, can also add definition to your outdoor space. 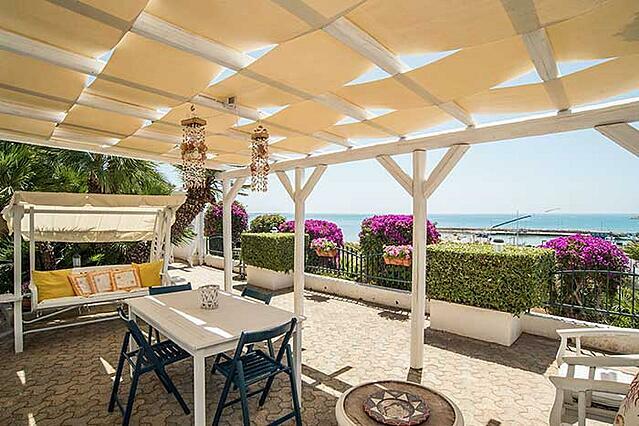 For instance, if you use a pergola or gazebo, it can provide a focal point for the space. Or, a simple seating lounge can be designed around a built-in fire pit. Two-sided fireplaces can create a natural separation between living and dining outdoor spaces. To enjoy your outdoor room to the fullest, you need to protect yourselves from the harsh elements of the weather; especially, the heat. You can do this by adorning your landscape with shades like pergolas or canopies that, in addition to sheltering you from the sun’s UV radiation, will also add value to it. From pergolas extending from the façade of your home to canvas shades and canopies, there are myriad ways you can integrate shaded spaces to your outdoor landscape. You can also work the natural shade that trees provide, if you plan it right, to create a natural, dappled space. The latest trends sweeping the world of home design is blended indoor-outdoor spaces which integrate indoor and outdoor into a single space on the same level. Popular in ocean-front properties, this open-air plan entails establishing matching décor and styles for both indoor and outdoor spaces, joining the two spaces by frameless sliding glass doors for a seamless transition. Even when closed, the glass doors provide you the feeling of being always connected to the outdoors. There’s more to outdoor lighting than just providing enough light at night so you can get around. Lighting can also add a certain elegance to your space and to the overall theme. For instance, subtle garden lighting placed under your plants or trees can enhance your landscaping or light globes placed around the walking paths can create a beautiful play of lights. Floor and overhead lighting can be used in multiple ways to light up different parts of your outdoor space. You can also use natural light sources from candles and gas lanterns to create an old-world charm ambiance. Today’s homes are no longer closed entities with clearly established boundaries between indoors and outdoors. Backyards and patios have become rooms in their own right. Designing and appointed a true outdoor living space and blending the comforts of the home into the outdoors gives homeowners more enjoyment, more freedom, and higher home value. For more inspiration, visit our gallery.